Free up your Saturdays by sending your kids to our interactive MiniChefs cooking classes which are specially designed for children aged from 6 years to teens. Classes are held in Coppet every Saturday morning. A typical class runs for two hours and children will learn facts about healthy foods while preparing and enjoying practical hands-on cooking activities. The classes are designed to be educational and fun and each child will participate by measuring, mixing, peeling, and preparing recipes under the supervision of our trained chef. All the recipes from the class can easily be prepared at home, giving your child the chance to ‘show off’ what they’ve learnt in the kitchen and maybe cook for the whole family! Over the school holidays, MiniChefs keep busy while making some festive food for Easter, and Christmas and some fresh summer treats in June-August! 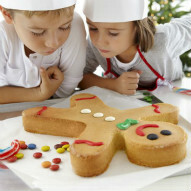 We will also be running a Master Cooking Classes later in 2013 which will be geared towards children who are 9+. 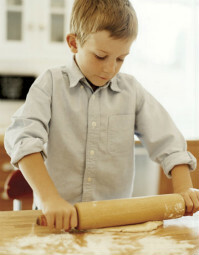 These recipes are multi-step and additional skills are taught. Drop us an email if you are interested in joining one of our seasonal workshops or would like to obtain more information. We look forward to hearing from you.